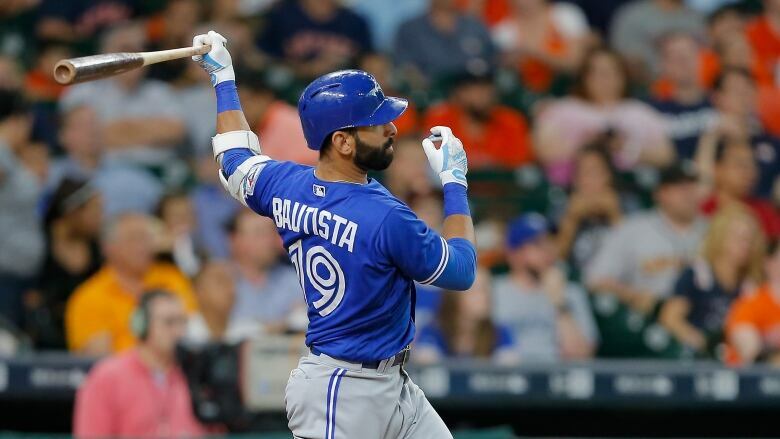 Jose Bautista hit his 300th career home run on Tuesday as the Jays took on the Astros in Houston. With the game tied in the third inning, Bautista broke the deadlock with a 402-foot drive to left field to put the Jays up 1-0. The shot was Bautista's 14th home run of the season and puts him amongst elite company as one of only 10 active players who have recorded 300 or more home runs. Hot on Bautista's heels is teammate Edwin Encarnación, who in the fourth hit a blast of his on to record his 297th homer.